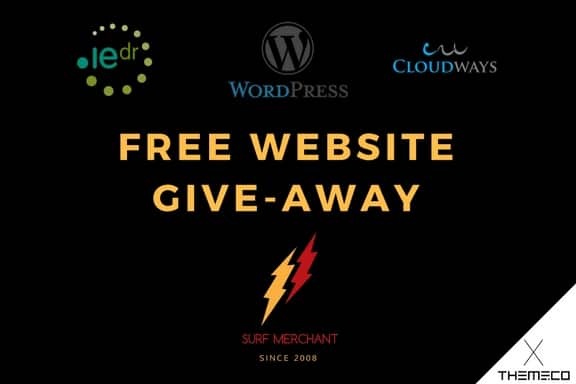 According to figures from Ireland’s Department of Communications, small businesses experience a 21% average increase in sales when they move their business online (Read the full published pdf report and our response to the Trading Online Voucher Scheme). 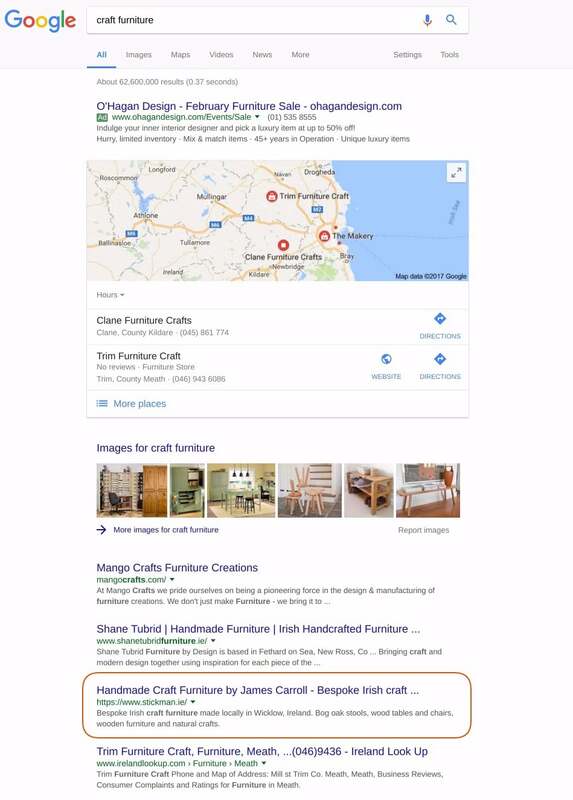 Despite the overwhelming case for investing in a website, Irish small businesses continue to undervalue and overlook digital. 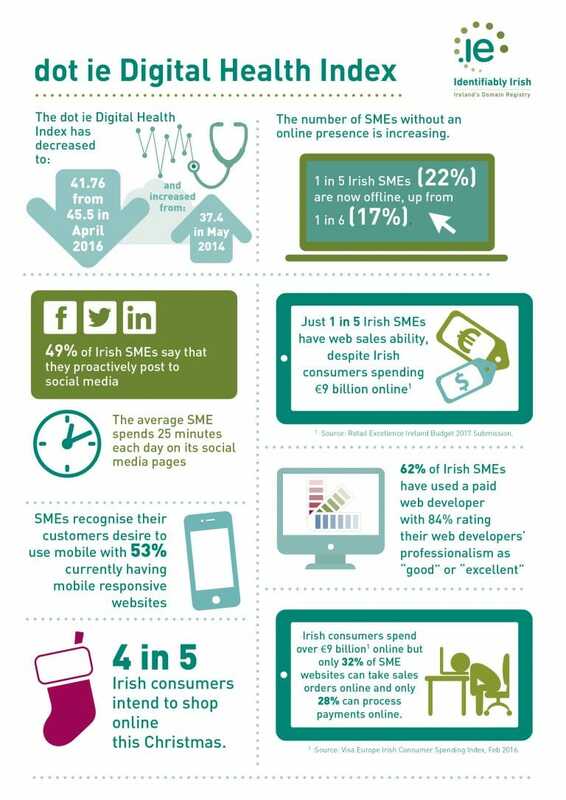 The number of Irish SMEs without an online presence is actually increasing! IEDR’s latest digital health index indicates that “two thirds, 66%, of offline SMEs say they do not intend to build a website in the future, primarily because they see ‘no need’ in their industry”. 2016 saw a slow-down in the registration of dot ie domains, just 31,665 in the Republic of Ireland, down over 2% on 2015. All the while 20,997 new companies were registered in 2016, “the first time more than 20,000 companies have been registered in a single year in almost two decades, it is also the second highest number recorded for company start-ups 36 years” – Vision-net Business Barometer. While business formations in Ireland are at record levels, investment in their digital footprint is not keeping up pace. 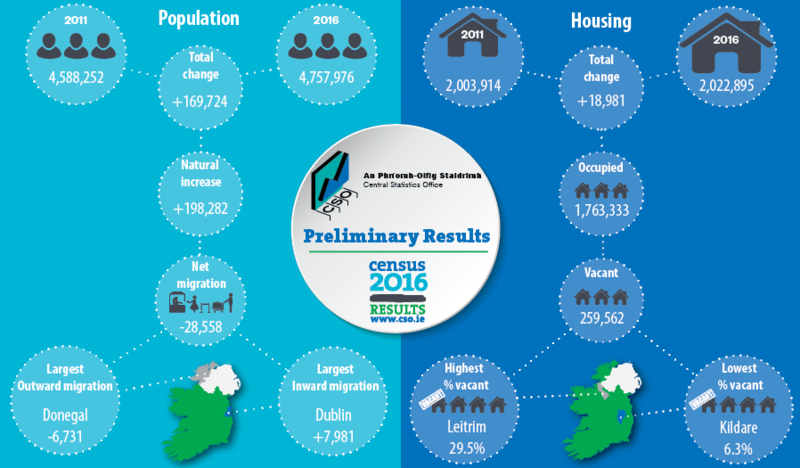 The 2016 census reports an Irish population of 4.76 million and according to The Irish Times, one in seven Irish adults generate a supplementary income via the internet. The disconnect between the numbers is dizzying. On one side, a growing volume of digitally-literate customers with a hungry appetite. On the other, healthy growth in the number of businesses competing to service this market. But the online marketplace is devoid of merchant traders setting out their stalls. We’ve got a scenario where there’s demand and supply, yet the two do not meet to do business! The missing element in the equation is the humble website. One might ask, why make life hard for yourself, why operate a web support service in a country that refuses to embrace this not-so-new way of doing business? The answer is an emotional one, Ireland is home and I’m Irish. All the data to the contrary, I want to buck the trend and believe in the opportunity rather than see Ireland as a challenging business environment. A perverse refusal to face facts, or an optimism that change is coming and I want to contribute in my own small way? There’s nothing more rewarding than helping a local small enterprise, a sole-trader or a small start-up achieve their ranking aspirations in Google & beyond. It’s at the grass-roots that the greatest transformation in fortunes can occur, from zero to hero in a local market niche. I most enjoy the relationships with the owner-operated and family-run businesses. The dedication, passion and fragility is palpable. It’s all or nothing. For a local business to take the chance on me is humbling. Money is always tight and there’s no doubt that it takes a leap of faith, or zero moment of truth, for a small enterprise to part with their hard-earned cash on a marketing activity which can be shrouded in obscurity. That is why success is so satisfying when I can deliver a return-on-investment and pay back that trust in my local SEO services. I am not in the business of a few big wins. 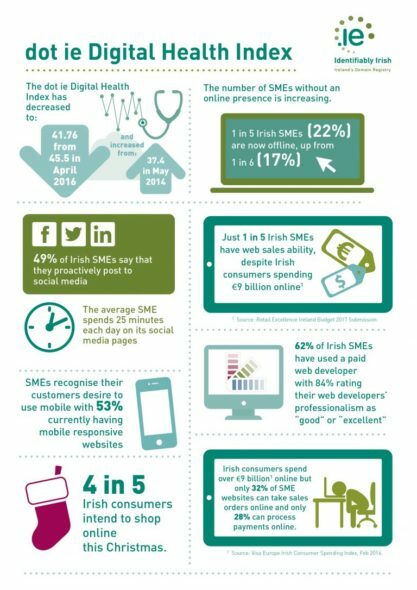 I’m in the business of a lot of little wins for small Irish businesses, which ultimately add up to the big picture for SME success doing business online in Ireland. If you’re a small Irish business, I’d like to work with you. Discover what I can do for your business. The big surprise, it won’t cost you the earth to rock your world.